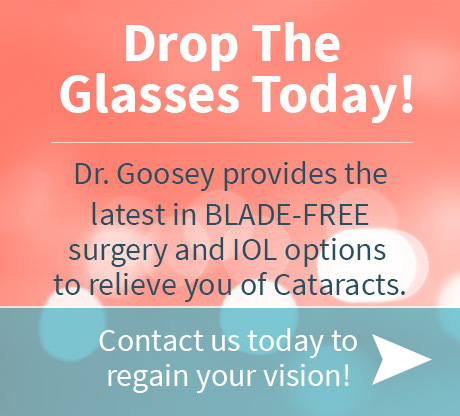 If presbyopia is affecting your quality of life, you should really come see Dr. Goosey to discuss possible treatment options. The following content explains presbyopia, and how to get around this condition with innovative surgical options. Presbyopia can be corrected by removing the eye’s natural crystalline lens and replacing it with an artificial intraocular lens, that enables you to regain your near vision. Each year, over 15 million cataract and lens exchange procedures are performed worldwide, and is recognized for its safety and predictability. Lens exchange is the safest, most commonly performed medical procedure, and has the lowest incident of complication of any surgery performed in the United States. “Refractive Lens Exchange”, or lens replacement surgery, replaces your eye’s natural crystalline lens with an artificial intraocular lens (IOL) that allows the patient to see near, intermediate, and far from both eyes. Binocular vision is always going to be better than monocular vision. This is accomplished by correcting your refractive error and achieving sharper focus, reducing your dependency on reading glasses or bifocals. Refractive lens exchange (RLE) is for patients who want the vision that comes with having cataract surgery, but do not meet the low vision requirements set by the insurance companies to have the procedure covered. This procedure is gaining in immense popularity with patients who are dealing with presbyopia. People are living longer, and are more active later in life; and thus, don’t want to be bound by their spectacles. At Dr. Goosey’s office, we specialize in reducing your dependence on glasses and contact lenses. This has never been truer than right now; and with the plethora of technologies at our disposal to help us see as close to the sight we had in our twenties as possible, who wouldn’t want to take advantage of this new visual advancement! Imagine not having to reach for glasses to see your phone, watch, computer, books, and the food on your plate. if Refractive Lens Exchange is right for you! Have you ever found yourself holding a menu or book farther and farther away to try and read it? The need for reading glasses is usually a sign of a medical condition in the eyes called presbyopia. Roughly translated from the Greek, presbyopia means “aging eyes” or “old eyes.” Presbyopia is defined as “the gradual loss of your eyes’ ability to focus actively on nearby objects.” It affects everyone at some point, but most people notice the affects in their early to mid-40s, and continues to get worse until the age of 65. While other vision-related issues like myopia, hyperopia, and astigmatism are caused by genetic and environmental issues, presbyopia is a natural aging process of the eye, and is not the result of an injury or refractive procedure. Much like death and taxes, it is one of those certainties in life that no one is immune to. 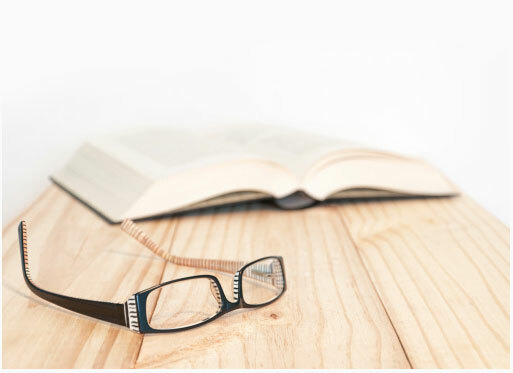 Presbyopia is the reason why people have to start wearing reading glasses, or have bifocal and progressive lenses placed in their prescription eye glasses. While some intraocular lens implants allow you to see only one distance, multifocal intraocular implants, however, allow you to see near, far, and everywhere in-between. When looking at correcting presbyopia with an intraocular lens implant, there are three different options to choose from- multifocal, toric, and monofocal IOLs. The two most common options are multifocal intraocular lens implants and monofocal intraocular lens implants. Studies have shown that patients who have bilateral multifocal lens implants are more spectacle independent than those who just have monofocal implants or accommodating intraocular lens implants. The term “multifocal,” refers to a type of optics in a Multifocal Intraocular Lens Implant. Unlike mono-vision, the optics you get from a multifocal implant are the same in each eye. Both eyes will see distance and both eyes will see near as well. Most patients achieve better near vision with the multifocal implants than doing a refractive procedure with monofocal IOLs. The Accommodating IOL (intraocular lens implant) is designed to mimic how your eyes’ natural crystalline lenses worked before you became presbyopic. Before presbyopia set in, our natural lens was flexible and could easily move back and forth to change focusing points between near and far. While some accommodating IOL’s can move back and forth, the range of vision that is advertised with these lenses, is not what most patients typically experience. Although the idea behind the accommodating IOL is a good one, the technology in Dr. Goosey’s opinion, still has a way to go before recommending to his patients. Dr. Goosey, as well as many medical studies, agree that patients are much more apt to be glasses-free following a lens exchange with a multifocal IOL versus an accommodating IOL. Patients who are contact lens wearers may be introduced to Blended Vision (also known as Monovision) contacts by their eye doctor when they start to complain about losing their near vision. Blended Vision is where the dominant eye is fixed perfect to see at a distance, and the non-dominant eye is fixed to a slightly myopic focal point, to help the patient regain their near vision. This Blended Vision, or Monovision, outcome can be achieved with contact lenses, LASIK, or lens exchange surgery. However, Blended Vision is not right for everyone; some patients may have a hard time adjusting to their eyes having different focal points. Yet, most patients adapt very well and enjoy the freedom from reading glasses or bifocals. For surgical patients who are considering Blended Vision correction, Dr. Goosey likes to simulate what their vision will look like post-operatively, by testing their eyes in a pair of contact lenses prior to their surgery. This helps us determine the correct focusing point for each patient, and confirm whether Blended Vision is the best option. Contact Us for more information. Or call 713-558-8777 for an appointment.